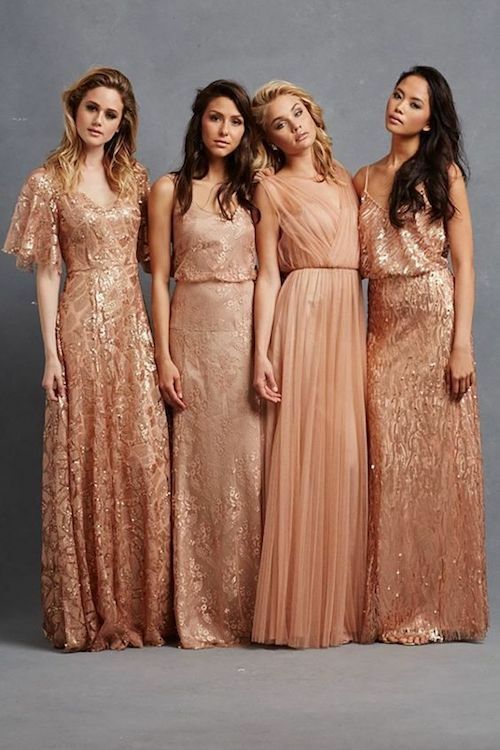 Get inspired by the Zuahir Murad resort collection for your bridesmaid dresses. Delicate floral layer over lilac. 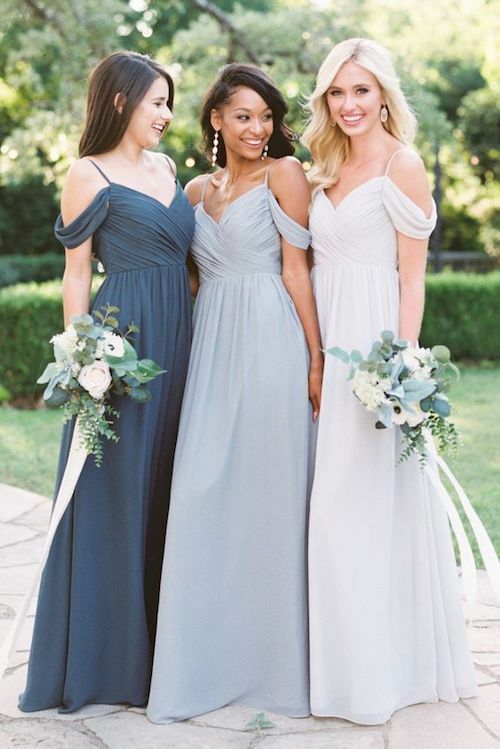 If you’ve never been part of a bridal squad before, here are some tips on the bridesmaid dress etiquette. Check them out! Glitter can also be worn on the daytime. It’s all about picking a matching long eucalyptus chiffon skirt and separates with some sparkly sequin options. 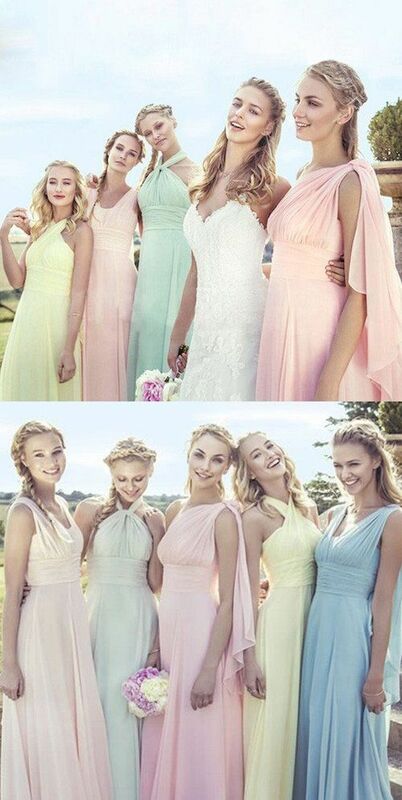 Bridesmaid outfits by revelry. Vintage or rustic wedding? 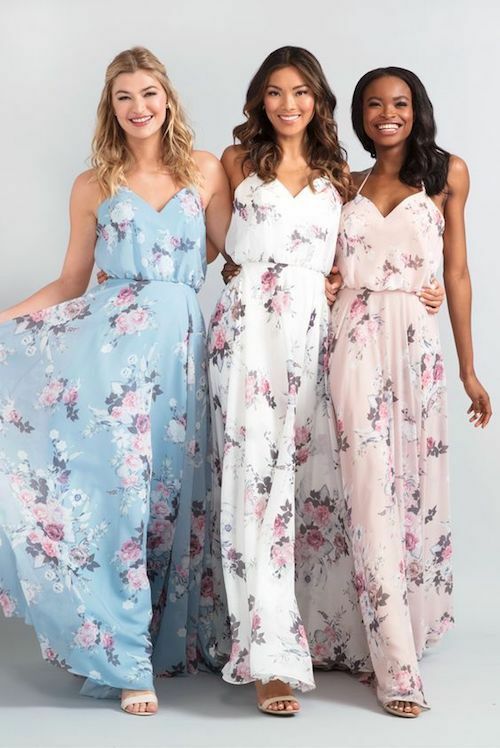 How about floral dresses by KleinfeldBridal? 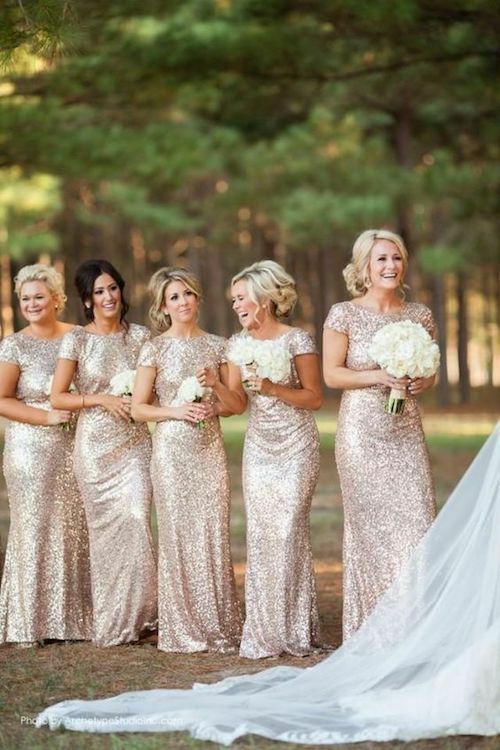 Rose gold sequined bridesmaid dresses with different fits and styles. Everybody is happy! Gorgeous bridesmaid lace top and chiffon maxi skirt by jane. 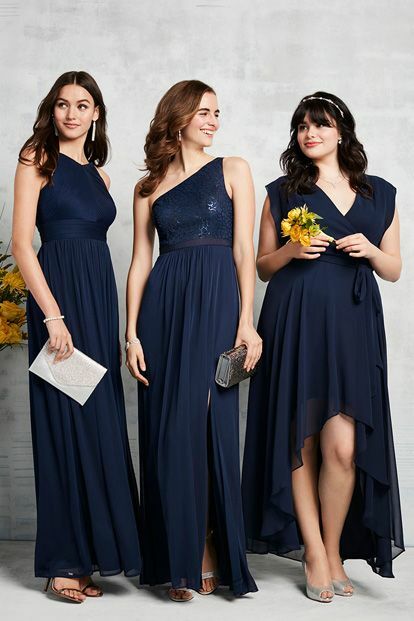 Loving the navy and that each bridesmaid can wear the style that best fits their body. David’s Bridal. How about floral skater midi dresses for your bridesmaids? Adorably trendy and they can wear them again and again by Floryday. 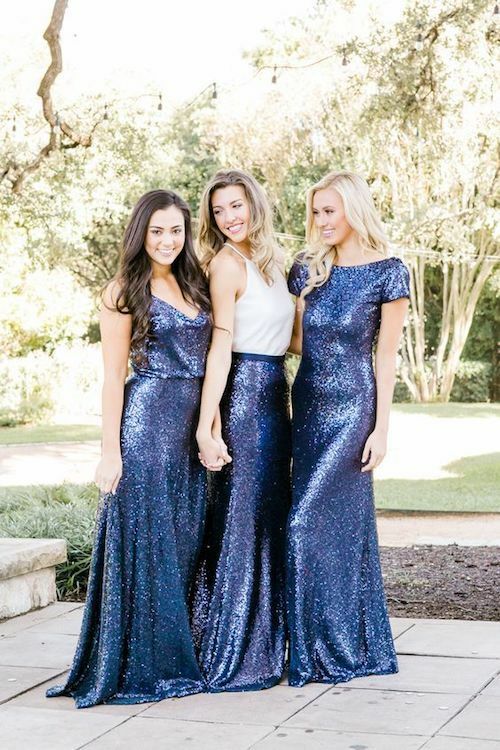 Mismatched blue sequin bridesmaid dresses. Off the shoulder flowy chiffon dress perfect for dancing the night away. Neutrals are back! Especially soft champagne. By unitewedding. 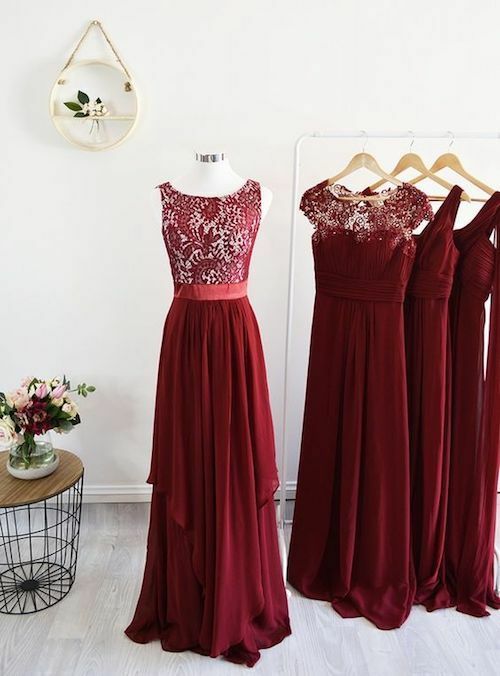 Looking for formal jewel tones like these red lace mix and match gowns for your bridesmaids? Check these out by modelchic. 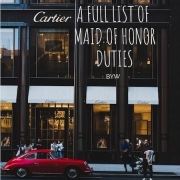 Make it easy for your bridesmaids and include them when picking their dress, both in color, style and budget. 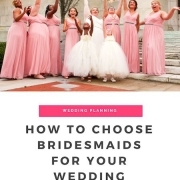 Feel free to mix-and-match different styles for the bridesmaids dresses. Lovely idea for a beach wedding!